THANK YOU TO OUR AUDIENCE, CAST, CREW AND CABARET AMBASSADORS FOR MAKING CABARET COMICO 2015 A SUCCESS! 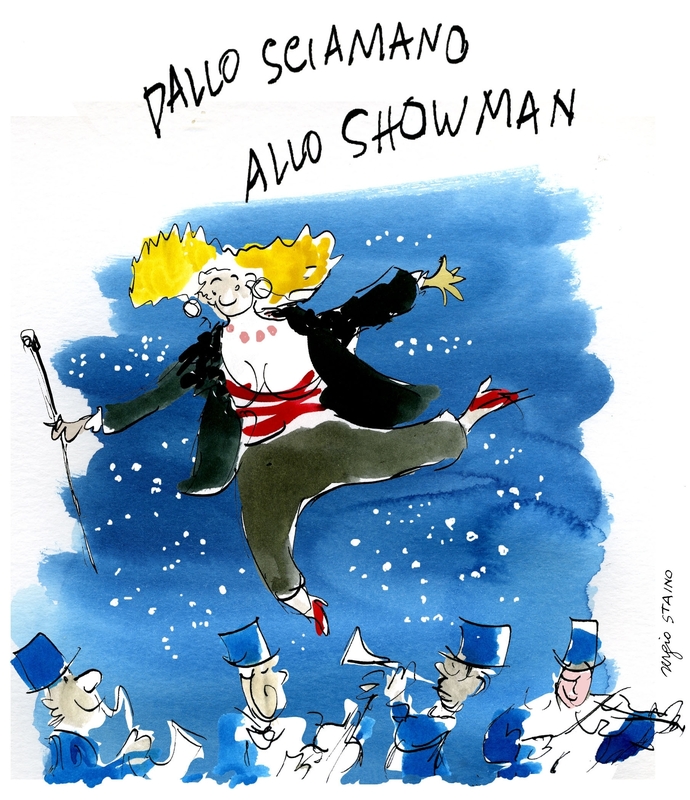 November 2015 saw Year Three of the cultural exchange dedicated to original comic song, in the style of cabaret inspired by New Performance Group’s Italian partners at the Festival of the Shaman and the Showman,Vallecamonica, Italy. We are grateful for the support of the Italian Cultural Institute of San Francisco and the Italian Consul General. 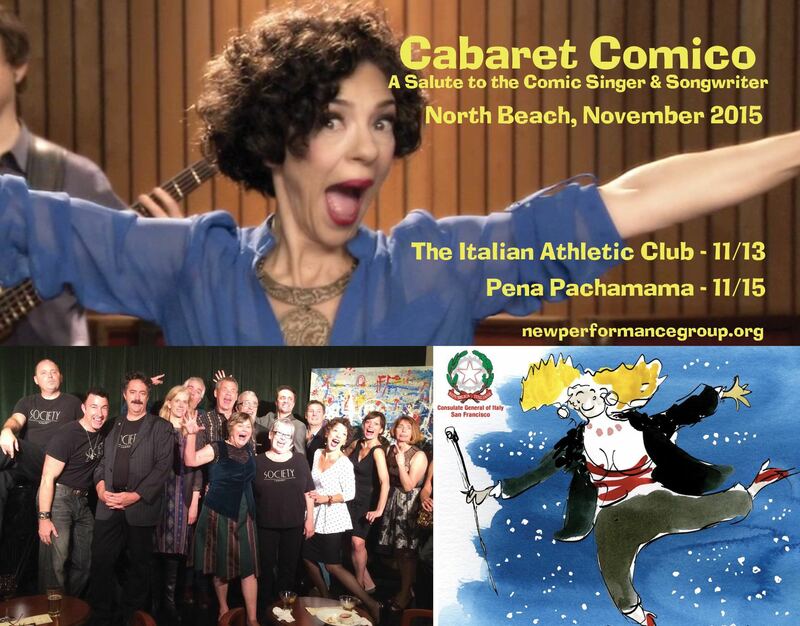 Cabaret Comico: A Salute to the Comic Singer & Songwriter: Original comic songs and Broadway musical comedy numbers performed by some of the Bay Area’s funniest singers and songwriters. Taking Our Laughter Seriously: a portion of the proceeds have been donated to UNCHR U.N. REFUGEE AGENCY. Friday November 13 at 7:30pm, The San Francisco Italian Athletic Club, 1630 Stockton Street, San Francisco, CA 94133 http://www.sfiac.org STARRING: Rita Abrams, Kikelomo Adedeji, Nan Ayers, Lauralee Brown, Cecilia Capanna, Candace Forest & The Wild Women (Allison Lovejoy, Alexis Lane Jensen, Beth Wilmurt), Paul Frantz, Paula Gianetti, Lua Hadar, Claudia Landivar, Ray Renati, Brooke Michael Smith. With pianists Jason Martineau and Eryn Allen. 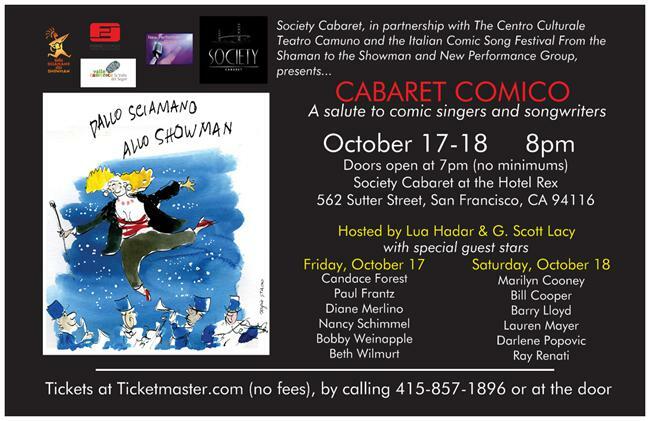 OCTOBER 2014 PRESS RELEASE: San Francisco’s version of Italy’s comic cabaret festival, From the Shaman to the Showman, returns this year with double the fun. Society Cabaret presents two different nights of the Bay Area’s funniest singers and songwriters performing original songs and comic numbers from musical theater in the 2014 edition of Cabaret Comico: A Salute to Comic Singers and Songwriters, hosted by G. Scott Lacy and Lua Hadar. The word ‘comic’ is key here; in Italy all cabaret is comic. Special Guest Stars: Candace Forest, Paul Frantz, Diane Merlino, Nancy Schimmel, and Bobby Weinapple, Beth Wilmurt, Marilyn Cooney, Bill Cooper, Barry Lloyd, Lauren Mayer, and Ray Renati. October 26, 2013 marked Chapter One of an international cultural exchange for the production of Cabaret Comico, a partnership of San Francisco’s Society Cabaret and New Performance Group with the Italian Centro Culturale Teatro Camuno, and their Festival Dallo Sciamano allo Showman (From the Shaman to the Showman), the cabaret festival of original comic songs and songwriters. Lua Hadar’s New Performance Group is dedicated to deepening intercultural communication through the performing arts, arts education and cultural exchange with the goal to bring an awareness of our common humanity to audiences and participants. New Performance Group has produced classes, performances, CDs, community events, international exchange and a DVD in its 20-year history. Nominated for an Independent Music Award, Lua Hadar is a vocalist, emcee and indie producer with a long history of performing both abroad (Italy, France, Thailand and more) and in New York and San Francisco, including at Yoshi’s Jazz Club and at legendary North Beach music venues such as The Purple Onion, Peña Pachamama, Caffé Trieste and Jazz at Pearl’s. International cultural exchange brought Cabaret Comico to San Francisco’s Society Cabaret, at the Hotel Rex Union Square, for it’s two founding years. In 2014, Society Cabaret entered its second year of international co-production to expand 2013’s one-night pilot project to a two-night event, with the 2014 edition of Cabaret Comico. Society Cabaret’s four founding partners combine their individual artistic expertise to bring a cooperative vision to their three thriving performance venues in San Francisco, San Diego and San José. 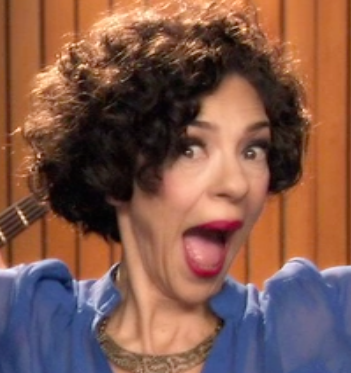 Director of Entertainment, G. Scott Lacy, co-hosted both 2014 evenings together with Lua Hadar. We thank them for their vision and commitment!